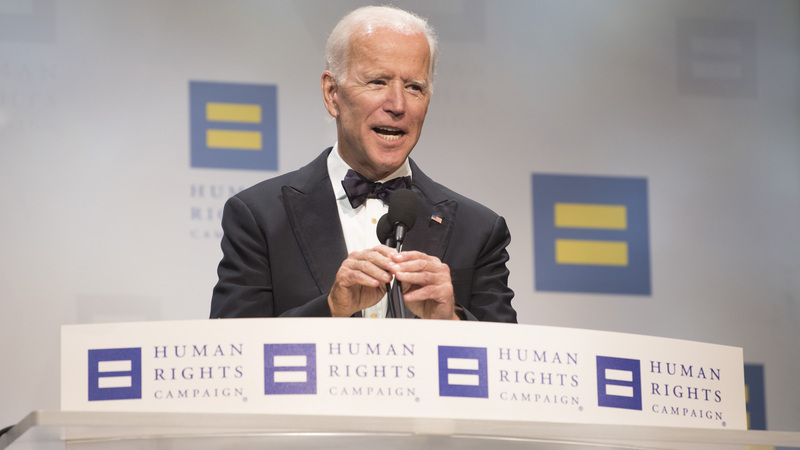 Washington DC (The Hollywood Times) 9/16/18 – From Uncle Joe Biden, to Awkafina, to Anne Hathaway and Eric Holder, the headliners of the Twenty Second Annual Human Rights Campaign dinner were deeply proud to be allies of this community. Washington’s best and brightest turned out to be at this gala, corporate sponsors abounded at the pre-dinner auction and the after-dinner party, local and national business donated for the liv and silent auction. It was a true reminder that the power of the LGBT community in DC comes not just from our votes but from our purchasing power, and that of our allies. In the day of Citizens United, Colin Kaepernick and Nike, progressive values are valuable. 10 years ago, could any LGBT person in DC imagine that their identity would not just be acknowledged but praised, valued, and fought for at the Washington convention center? 10 years ago, our progressive Democrat President has yet to acknowledge marriage equality as a part of his platform, and it was hard to believe hundreds of people would turn out to celebrate and advocates for the LGBT communities’ engagement in the 2018 election-and yet hundreds describes the volunteer force alone. There were thousands of attendees, donors, and activists. From nationally recognized celebrities to young people who wanted to see a future that looks and feels different than the world hey see around them. 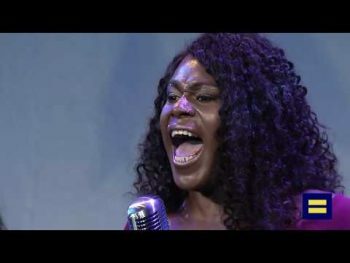 For as much progress as we have made in 22 years, performer Shea Diamond reminded us that trans women of color face an epidemic of violence, that for women like her- the promised slice of the American Pie is still in the sky, that as we erode barriers facing the LGBTQ community, without intentionally focusing on intersectional, we leave so many members of our community behind. It wasn’t until the main course that we got to the crux of the matter – HRC’s endorsed candidates. Two years ago, we believed that HRC would be a wonderful coincidence with our newest president, but on November 8th, 2016, all of us were cast adrift and alone, shocked and afraid at the seething anger revealed by Trump’s election. For two years, we’ve watched progress crumble and felt alone – but nights like tonight remind us not only that we were are not alone, but that the Donald Trump and Mike Pence will never be able to make us alone- no matter how many rights they roll back, no matter how grotesquely they attack our community, they cannot take away what we have accomplished- gay, straight, corporate, political, this is the party to be at. There is no going back from the fact that equality sells. Former Vice President Joe Biden spoke at great length about his passion for this community, and “2020!” echoed around the room multiple times. Yet it wasn’t political ambition that drove Biden’s speech, he dwelt on the pain of a bereaved parent. 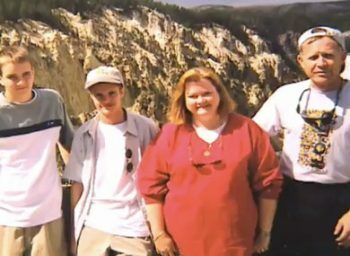 Be it cancer or homophobic violence, his pain and the pain of Judy and Dennis Shepard make them equals in facing the unimaginable. Dr. Jill and Joe Biden’s commitment to facing down inequality in all it’s forms is a testament to their resilience and their belief that the world is a better place when we “give hate no safe haven”. Equality award recipient Anne Hathaway stole the night and all our hearts when she stiid in front of us and said “here, I’m not afraid anymore”. Despite her fame and outstanding talent, Anne is a young woman living under the Trump administration. While her privilege may insulate her more from the erosion of progress, Anne made it clear that fear knows no gender or class- and the love the HRC community demonstrates resonates loudly enough to lend hope to everyone who believes that our country is better than this. 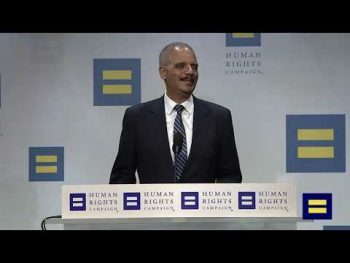 But as attorney general Eric Holder said, “Love is no longer enough. We must vote!”. A bold and honest statement in a room where hopeful platitudes still managed to inspire – a statement that begged the question, can we agree that this is not enough? The glamorous auctions (led by the always hilarious, wildly admirable Dana Goldberg), the hundreds of thousands of dollars raised, the swag bags- all of this is nothing but the trappings of empty success until we have the policies and politicians to ensure not just the wealthy LGBT community, but the most marginalized, can live safely and free from fear.